﻿ Cristiano Ronaldo: "I don't regret having switched England for Spain"
07.08.2015 » Cristiano Ronaldo: "I don't regret having switched England for Spain"
In a recent interview granted to the Portuguese newspaper Record, Cristiano Ronaldo admitted that playing for Real Madrid has always been his childhood dream. The 30-year old also stated that he doesn't regret having switched England for Spain when he got transferred from Manchester United to Real Madrid in the summer of 2009. After suffering a minor injury in his lower back this past Monday, Cristiano Ronaldo was forced to miss Real Madrid's two fixtures in the Audi Cup, in order to avois worsening his condition. During these days, the Portuguese star has stayed in Madrid receiving the proper treatment and took the chance to also grant a short interview to Record, a Portuguese media. Not many different topics were approached in this talk, but one of the strongest statements came in when Ronaldo said that he has no regrets on his decision of moving from Manchester United to Spain and embrace the challenge of playing for Real Madrid. Becoming Real Madrid's all-time top scorer is naturally going to be one of Cristiano Ronaldo's main objectives this season. Being only 9 goals short of Raúl's record of 323 goals, no one doubts it's only a matter of time until that legacy meets a new owner. 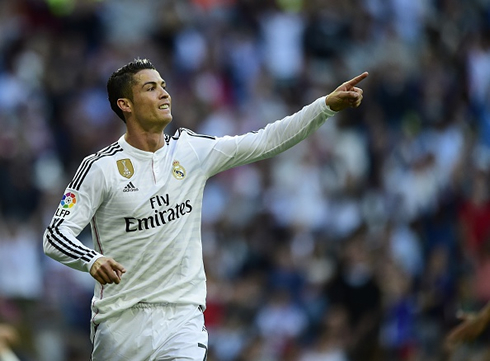 Cristiano Ronaldo: "Playing for Real Madrid has been one of my childhood dreams. I never hid that. I remember having several players I looked up to, from Rui Costa to Luís Figo, Zidane or the Brazilian Ronaldo, but Real Madrid was the club I already dreamed about playing in someday", revealed the 30-year old, who played only for Sporting and Manchester United before signing for the Merengues six years ago. 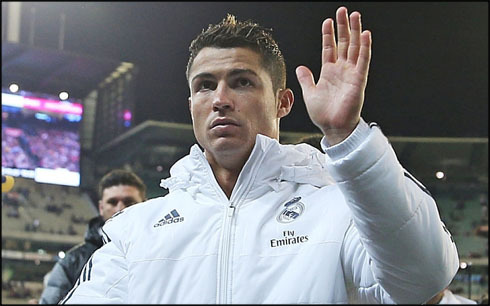 Ronaldo: "I don't regret having left England to come to Spain. I hope to still be a part of Real Madrid's success in the near future, as well as the Portuguese National Team. People often tell me that I'm very near of reaching the same status that legends like Di Stéfano, Puskas and Raúl achieved in Madrid and that makes me tremendously proud", admitted the Portuguese ace. Ronaldo: "I don't know if I'm going to beat Real Madrid's all-time top scorer record, but I'm well aware it's not that far now and I would be very happy if I manage to accomplish it. No matter what and even though I'm not hiding that I'll be pursuing that goal, my priority is to help the team winning as many trophies as possible", stated the Portuguese forward, who has already scored 314 goals in 304 appearances for the Merengues. Cristiano Ronaldo: "After so many trophies in my career, I still miss a Portuguese league title for Sporting. I don't know if it's ever going to happen because the future belongs to God, but if it does become a reality, I'll be thrilled about it", commented the Real Madrid star, who left Sporting to sign for Manchester United at the age of 18. 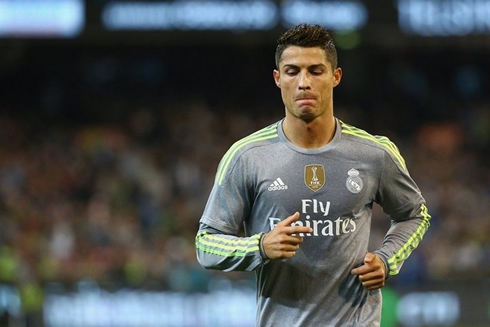 Cristiano Ronaldo next game will be for Real Madrid, on the 9th of August of 2015 against Valerenga. You can watch Juventus live stream, Valerenga vs Real Madrid, Barcelona vs Sevilla, Man Utd vs Tottenham, Chelsea vs Swansea, and Everton vs Watford, all matches provided from our football live section.